Symbolizing the victory of good over evil, ‘Dusshera’, which is one of the most auspicious festivals in India, gets a special celebration in the state of Karnataka. Unlike the other places of India, where Dusshera is celebrated only for a day, the regal city of Mysore in Karnataka has its celebrations going for 10 days. Famous as Mysore Dasara, the festival is celebrated in a grand fashion. Legends has it that in the ancient times, Goddess Chamundeshwari killed demon Mahishasura. The day on which the demon was killed by the Goddess, came to be known as ‘Vijaydashmi’. Vijaydashmi falls on the last day of the Dasara festival. 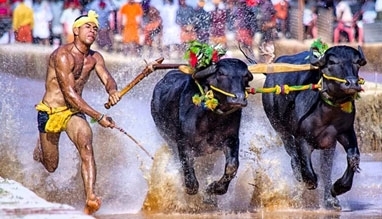 The festival has been an annual affair at Mysore since the 15th century. 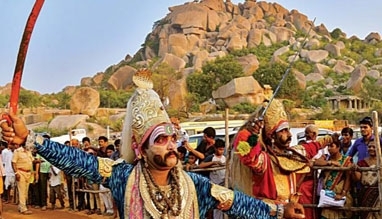 Celebrations of this event were first started by the kings of the prestigious Vijayanagar kingdom. Then it got continued by the Wodeyar rulers of Mysore and hence turned into a royal festival. 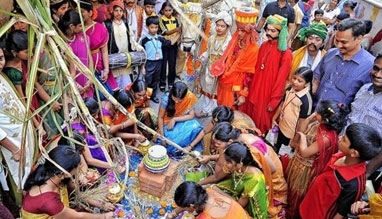 In the 21st century, processions of the Dasara festival are carried on in a traditional way. Also known as ‘Jamboo Savari’, the processions involve parades of beautifully decorated elephants, one of which carries the idol of Goddess Chamundeshwari. These elephants in company of dance groups, music bands, folklores, armed forces and royal identities, start their torch-light parade from the Mysore Palace and end it at Bannimantap. The torch-light parade is traditionally known as Panjina Kavayithu and it takes place on the last day of Mysore Dasara. Other major highlight of the festival is the Dasara exhibition at the grounds, right opposite the Mysore Palace. The exhibition gets flooded by stalls selling clothes, cosmetics, eatables, handicrafts and plastic items. Outdoor games and amusement rides also become the part of the exhibition. Enjoy Dussehra festival with our Mysore tour packages, also book the best hotels to stay in Mysore to explore attractions and places to visit near the city for an unforgettable experience.